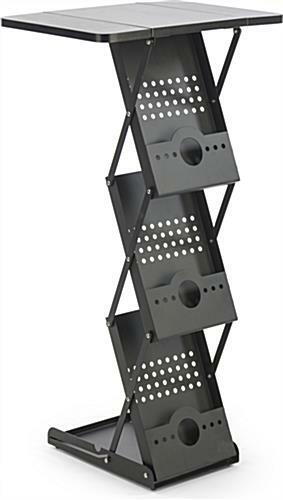 These folding magazine racks are designed for magazines, flyers, pamphlets and other literature. Each steel constructed stand stands at 40" tall. The black racks have an included table top space for a work area. 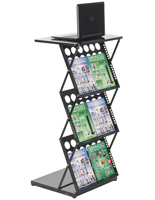 Use the display stands in lobbies, waiting rooms, trade shows or fairs. The racks come fully assembled for use. 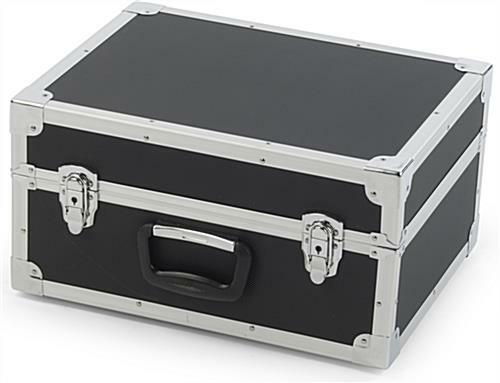 The included carrying case makes transporting the three-tiered storage unit fast and easy. 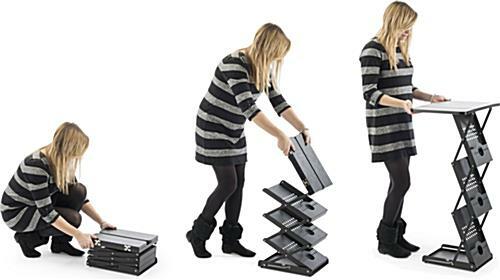 20.0" x 39.5" x 14.5"
9.3" x 14.3" x 1.4"
10.0" x 2.0" x 14.3"
17.0" x 9.0" x 13.0"